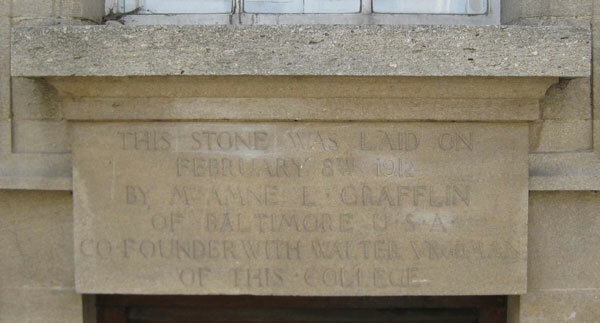 THE FOUNDATION OF THE COLLEGE. 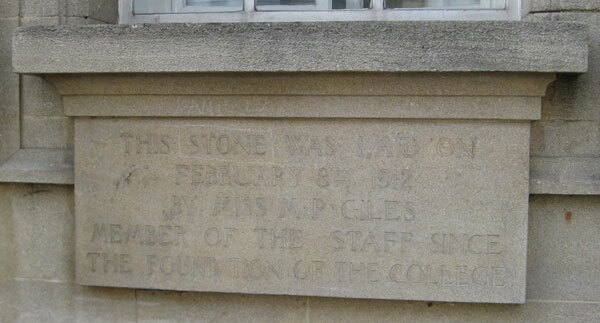 Miss M. P. Giles had been a member of staff of the college since 1899. C. W. BOWERMAN ESQ. M.P. 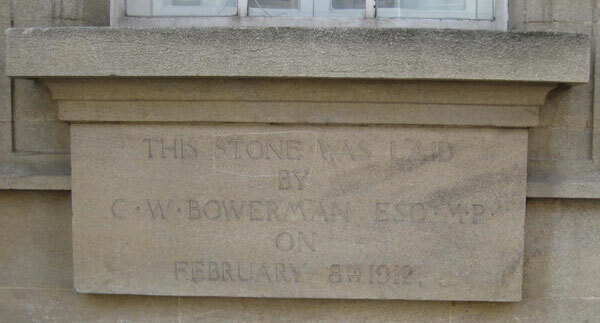 Each of these foundation stones is under one of the four central ground-floor windows of the former Ruskin College building in Walton Street (now part of Exeter College). Ruskin College was founded as Ruskin Hall at 14 St Giles’ Street in 1899. 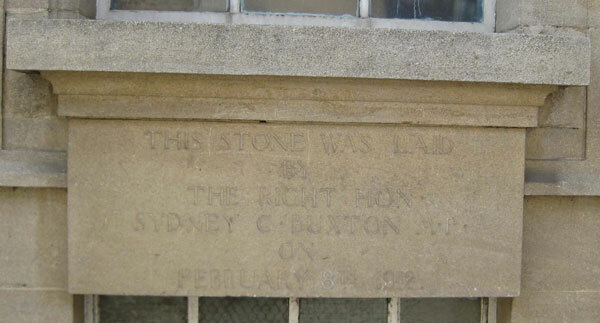 In 1902 it moved to its site in Walton Street, and the new building with the above inscriptions was opened in 1913. Ruskin College sold its Walton Street premises to Exeter College for £7m on 17 March 2010, and in October 2012 reopened in its redeveloped Headington site at The Rookery, which it had bought in 1946 and renamed Ruskin Hall, and Stoke House, which it had bought in 1965. Exeter demolished all the old college except for the façade, and the site is now its Cohen Quad.